Ceremony & Thank you dinner for the new factory opening of Shanghai JinLitai Chemical Corporation Ltd. 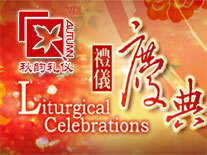 Autumn is one of the largest ceremony planning corporations and the leading agency in China. We have branches entire cover the cities is Jiangsu, Zhejiang province and Shanghai. We offer the professional service for all kinds of opening ceremony, foundation ceremony, annual meeting, business event and so on. Meanwhile, we have built up close business relations with numerous TV stations and performance corporations. Business Philosophy: With the spirit of “creating more value for clients” and our professional team, we’d like to have the chance to serve you. We keep collecting and updating the information of industries and technology every second to make us walk beyond time. We are determined to win the market by our professional service and promote our brand with our credit.